We are dedicated to providing a personalized, positive environment that encourages respect, appreciates individual differences and enables children to develop at their own pace to reach their highest potential academically, personally and socially. Montessori Country Day was founded by Maggie Whitmire in 2004. The Hendersonville school opened in 2012. We care for children from 12 months and walking (or 15 months) through 6 years of age during the school year. In summer, we care for children up to 8 years of age. At Montessori Country Day, we encourage children to experience the joy of learning at an early age, while preserving the spontaneity, curiosity and initiative inherent within each child. We firmly believe in small class sizes and low student-to-teacher ratios. This allows each teacher to provide the one-to-one attention each student deserves. Toddler and Pre-Primary classes often split into even smaller groups by alternating time in the classroom and time on the playground. We ensure educational quality with small class sizes, low teacher-to-student ratios and close communication with parents. We seek support and evaluations from professionals in Montessori education and early childhood education through workshops, conventions, Montessori teacher training programs, our local Smart Start, the Child Care Resource & Referral Program and college classes. Montessori Country Day wishes to attract a diverse student body representing many ethnic backgrounds, religions, abilities and learning styles. We celebrate our differences. Finally, we are here to serve our families. In our multi-aged classes, we are grouped like a family or neighborhood. Our children have a chance to progress from youngest to middle to oldest child. In a non-competitive social environment, children learn from older models and progress in developing leadership roles. Remaining in the same class for several years fosters security, confidence, friendships and understanding between teachers, families and children of individual capabilities and needs. 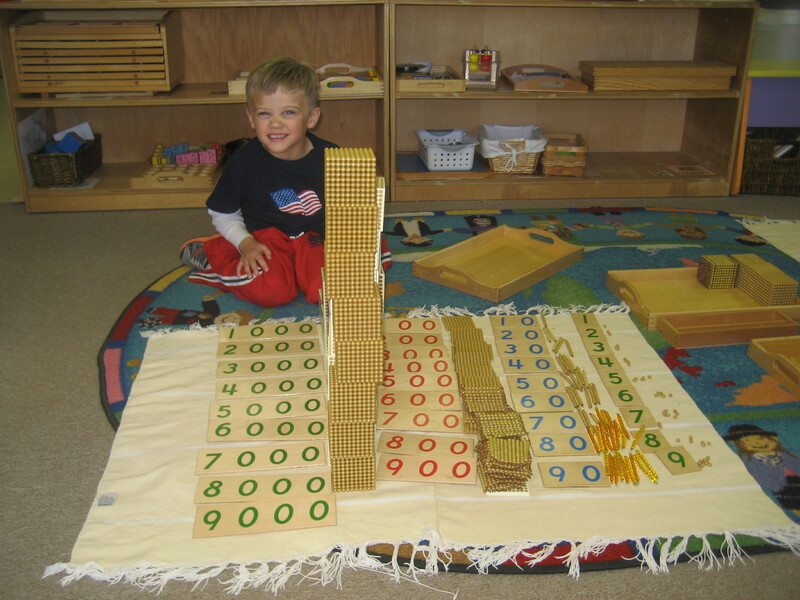 Montessori Country Day is committed to nurturing and educating young children through the Montessori Method, an early educational model developed by Dr. Maria Montessori. The Montessori Method is based on the understanding that children are motivated by a natural curiosity for learning, a desire to participate in activities that use their senses, muscles and intellect. It is also grounded in respect for each child as an individual with unique emotional, social and intellectual needs. Our Montessori classrooms are carefully prepared and child-oriented environments. Children learn at their own pace, choosing materials that appeal to their interest and developmental needs. The classrooms feature sequential materials designed to be aesthetically appealing, self-teaching, self-correcting and progressively challenging. The inviting environment enables children to explore and develop habits of initiative, independence, curiosity and concentration. At Montessori Country Day the child is our focus, the teacher the facilitator. Above all, we place the highest importance on serving the needs of the child, for as Maria Montessori said, “One test of the correctness of educational procedure is the happiness of the child itself.” By providing individual lessons as well as group lessons the children learn cooperation and respect for others. Our emphasis is on preparatory activities designed to develop a readiness and a foundation for a life-long love of learning. Finally, Montessori Country Day is here to serve our families. In our multi-aged settings we are grouped like a family or neighborhood. Our children have a chance to progress from youngest to middle to oldest child. In a non-competitive social environment, children learn from older models and progress in developing leadership roles. Remaining in the same class for several years fosters security, confidence, friendships and understanding between teachers, families and children of individual capabilities and needs.